My passion and curiosity for custom kitchen cabinetry began in 1975 when I worked for a local Appliance Store. After six valuable years I decided to go on my own, and opened my own kitchen business in Lafayette, California as Kitchens, Etc. In 1989 I moved to a larger location in downtown Walnut Creek. I continued to design but growth required the addition of 5 professional kitchen designers to help with demand. Primarily due to the harsh economic climate, I moved to our current location in 1996 as The Kitchen and Bath Mart. I still have the same passion to satisfy the unique desires of our clients. My company’s design staff and I continue to place great emphasis on thorough and imaginative design and good value. Since 1981 Distinctive Cabinetry has earned its reputation as the best custom kitchen cabinetry supplier in the San Francisco East Bay Area. We are home of the finest design professionals available. Contractors, builders, interior designers and architects depend on our custom kitchen cabinetry company for professional service, design and the latest in bathroom and kitchen solutions. See the differences between mission cabinets, transitional cabinets & Shaker cabinets showcased in our modern new Walnut Creek showroom. We offer contemporary and traditional designs and high quality built professional cabinets for every room of your home including the kitchen, bathroom, home office, master suite, laundry room and entertainment center. Click here to view our cabinet gallery. Converting clients ideas into workable and pleasing results requires experienced and talented designers. Our cabinet designers will produce plans that compliment your desires and budget. 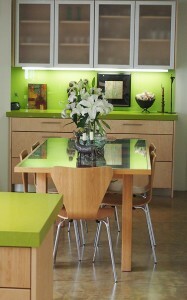 Whether you are in the market for a kitchen remodel or a customized kitchen design, it should should be one of a kind. We use sophisticated CAD software that can produce colored, almost photo realistic renderings, elevations and perspective views to make the decision process easier. 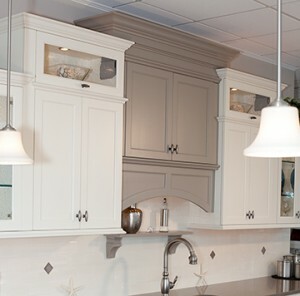 Our kitchen cabinet company is committed to your satisfaction. You can see these designer cabinetry products on display in our extensive showroom in Walnut Creek. We also display concrete, granite, Caesar Stone counter tops, back splash tile samples and a variety of bathroom vanities and other accessories.